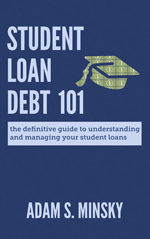 Share the post "Four Secret Quirks of Income-Driven Repayment"
Many federal student loans are eligible for income-driven repayment – a type of student loan repayment program that uses a formula to create a uniquely-tailored monthly payment for borrowers based on their income and family size. For most of these plans, borrowers can enroll for up to 20 or 25 years (depending on the specific plan), at which point any remaining balance gets forgiven. This repayment period can be reduced through programs like the Public Service Loan Forgiveness program. There are currently four major income-driven repayment plans, each with their own unique programmatic requirements and quirks: there’s Income-Contingent Repayment (ICR), Income-Based Repayment (IBR), Pay As You Earn (PAYE), and Revised Pay As You Earn (REPAYE). Each plan uses a different formula for calculating monthly payments; but some of the plans also have unique characteristics that differentiate them even further from each other. 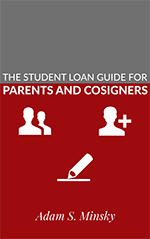 When married student loan borrowers file taxes jointly with their spouse, the loan servicer will consider the couple’s joint income (and joint federal student loan debt) under all of the income-driven plans. However, when married borrowers file taxes separately from their spouse, the loan servicer will consider only the borrower’s income under the ICR, IBR, and PAYE plans. In contrast, under the REPAYE plan, the servicer will consider the joint income of married couples regardless of tax filing status. This means that some married couples could save money by filing taxes separately and getting on the more-expensive IBR plan, as opposed to the cheaper REPAYE plan. This is, of course, a case-by-case analysis, and borrowers should consult with a qualified tax professional to determine if they may incur higher taxes by filing separately. Under any income-driven repayment plan, it is possible for monthly payments to be less than the amount of monthly interest that is accruing. This is called “negative amortization,” and it can lead to pretty significant balance increases over time. If that interest gets “capitalized” (meaning added to your principal balance), then even more interest will accrue on your loans, since interest is charged as a percentage of your principal balance. This can cause a gradually increasing rate of interest accrual. Under the ICR plan, outstanding interest is capitalized annually, but the amount of interest that is capitalized can never exceed 10% of the original principal balance of your loan at the time that it entered the ICR plan. That provides you with some protection. Under the PAYE plan, interest is only capitalized if you leave the PAYE plan (either by switching plans, failing to renew the plan, defaulting on your loans, or going into a deferment or forbearance). However, like ICR, the amount of interest that is capitalized can never exceed 10% of the original principal balance of your loan at the time that it entered the PAYE plan. It’s not uncommon for borrowers to experience negative amortization right after graduation, since low incomes might mean that your monthly payments under an income-driven plan would not cover interest accrual. The IBR, PAYE, and REPAYE plans all offer a benefit where if you are negatively amortizing, the difference between your payment amount and the monthly interest accrual will be waived for your subsidized federal student loans for up to three years. In other words, under these plans you will not experience any negative amortization on your subsidized federal student loans for up to three years after graduating. 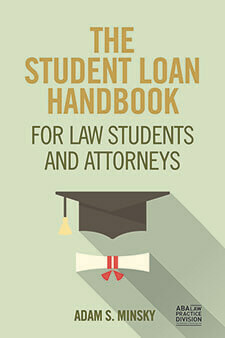 If you are experiencing long-term negative amortization and your monthly payments are not covering your interest for an extended period of time, the REPAYE plan has a particularly unique benefit whereby 50% of the difference between your payment amount and the monthly interest accrual will be waived for your subsidized and unsubsidized federal student loans for the entire repayment term. By way of example, if you are accruing interest at the rate of $600/month, and your REPAYE payment is only $100/month, you’ll only accrue $250/month in interest, which is 50% of the full $500 difference between the accruing interest and your payment. This means that while your balance will continue to grow due to negative amortization, it will grow at a significantly slower rate.